I saw this sign on a recent trip. If you squeeze a lemon, mango, or strawberry, it is squeezed. If you just squeezed said lemon, mango, or strawberry, it is fresh squeezed. Comments Off on Grammar Giggle – Bingo! The Oxford English Dictionary recently added some new words. I always like to see what kind of words make it into the dictionary each year. My very favorite–the “Word of the Year”–will show up in a couple of months, but for now, here are some of the new words that have shown up in articles about these additions. Clickbait – A story or content that draws you in with a headline but probably won’t deliver. Clicktivism – Using social media and the internet for social or political activism. Jagoff – An obnoxious and rude person who is usually characterized as a man. Resting B*tch Face – A facial expression exuding annoyance making it appear that the person doesn’t mean to look annoyed. Squee – A screech that comes out when you’re really excited about something. Vom – A shorter way of saying vomit or to explain that someone is in the act of vomiting. There are more than 500 other words added, but I chose just a few. 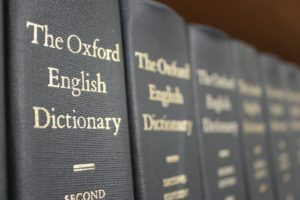 Since I don’t have a subscription to Oxford English Dictionary, I can’t get their “official” definitions, but I am assuming if they are adding words that are now part of our language, definitions found on the Internet will be close. clientitis, n. – (also called clientism or localitis) is the tendency of resident in-country staff of an organization to regard the officials and people of the host country as “clients.” This condition can be found in business or government. freemium, n. – is a pricing strategy by which a product or service (typically a digital offering or application such as software, media, games or web services) is provided free of charge, but money (premium) is charged for proprietary features, functionality, or virtual goods. kegerator, n. – a refrigerator that has been designed or altered to store and dispense kegs. By keeping the keg in a refrigerated environment and using CO2 to pressurize and dispense the keg, it will allow the contents to remain fresh and carbonated for an extended period of time, generally a couple of months. little old lady, n. – 1. one who is seen as weak, and feeble, and/or feeble-minded. 2. a dainty, elderly woman. scrumdiddlyumptious, adj. – Extremely scrumptious; excellent, splendid; (esp. of food) delicious. shoppertainment, n. – a retail tactic to engage customers through an entertaining in-store shopping experience. upspeak, n. – Affliction affecting my in today’s society not just teenagers where a person makes a question out of a sentence that isn’t a question (or more simply speaks “up” at the end of a sentence). 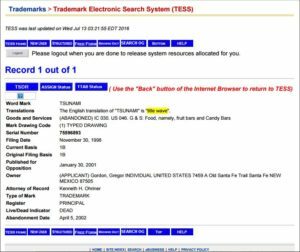 A reader sent this to me from her research on the United States Patent and Trademark Office website. A reader sent me this picture that she saw in a retail store next to her office. I’m not even sure what it is they’re trying to say here. I had a meeting at a building in downtown Phoenix this afternoon. 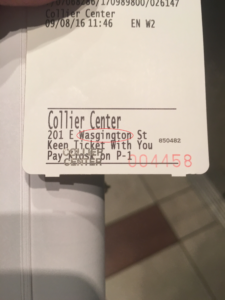 I pulled the parking ticket, but didn’t really look at it until I was getting ready to leave the parking garage and noticed that the building’s street name (which is a major street in downtown Phoenix) was misspelled. 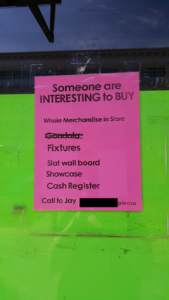 The worst part is that it isn’t even an unusual name. There is probably a street with this name in every major city in the United States. 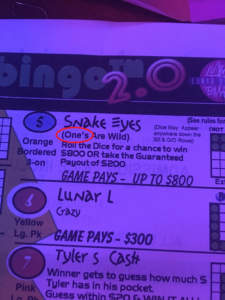 I understand errors happen, but when you can’t get the information for your own business right, all I can do is shake my head. 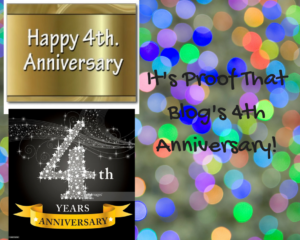 Happy Anniversary to Proof That Blog! Comments Off on Happy Anniversary to Proof That Blog! September 3 marks four years since the first Proof That blog post! 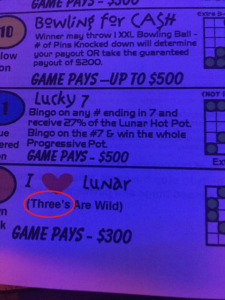 I was excited that I was able to find Grammar Giggles right on point! Thanks to all my blog readers who encourage me to keep writing. I learn something with each article and I never seem to run out of Grammar Giggles–thanks in part to readers who share. So thank you for keeping this crazy dream of mine alive. There are those out there who are bored to tears at the thought of ever reading a proofreading blog and then there is YOU! So thank you again and have a piece of cake or a glass of champagne for me!